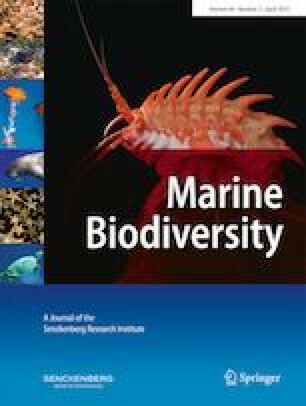 The spatial–temporal distribution of dinoflagellate cyst (i.e., dinocyst) communities is crucial for understanding the detailed mechanisms of recurrence and spread of harmful algae blooms in marine ecosystems. Here, we employed the newly developed high-throughput sequencing-based metabarcoding to characterize dinocyst communities collected from the South China Sea. Further, we clarified the spatial–temporal distribution patterns and analyzed the correlation between environmental factors and the observed patterns to investigate how they are influenced by environmental factors. Our results showed that the spatial distribution of dinocyst species richness and abundance varied greatly between sampling sites in different seasons. Both redundancy and Pearson analyses showed that the chemical oxygen femand, which could explained 35.0% of the total community variation, had positive correlations with heterotrophic dinocyst richness and negative correlations with autotrophic dinocysts richness. We did not find significant correlations between heavy metals and any features of dinocyst species richness. No environmental factor showed significant effects on dinocyst abundance based on forward selection after excluding colinearity; however, Pearson’s correlation analyses showed that the abundance of heterotrophic dinocysts presented a significant positive correlation with Mn (P < 0.05). Our results showed that the influence of environmental factors on spatial–temporal distribution of dinocyst species could be region- and/or environment-specific. Consequently, we suggest that detailed investigations should be performed to clarify the influence of varied environmental factors on dinocyst community characteristics in different regions and/or seasons. Yangchun Gao and Yanhong Dong contributed equally to this work. The online version of this article ( https://doi.org/10.1007/s12526-018-0850-4) contains supplementary material, which is available to authorized users. This work was partially supported by the 100-Talent Program of the Chinese Academy of Sciences to A.Z. A.Z., H.L. and Y.D. conceived the study. Y.G., Y.D., H.L and A.Z. designed the experiment. Y.G. and H.L. conducted the experiments and analyzed the data. Y.G., Y.D., H.L and A.Z. wrote the manuscript. All authors reviewed and commented on the manuscript.